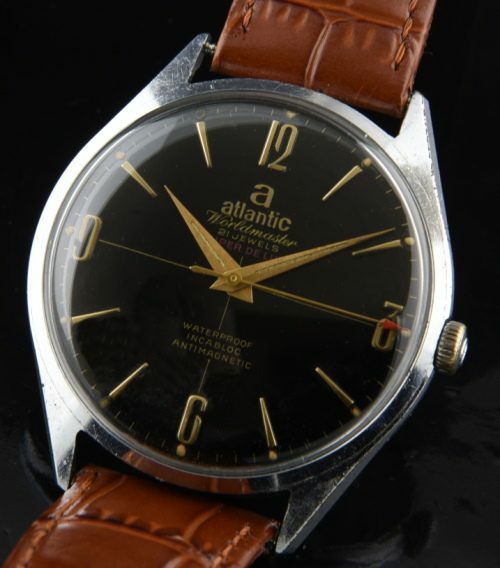 This vintage 1960’s ATLANTIC WORLDMASTER Swiss watch is quite large, measuring 37.5mm. 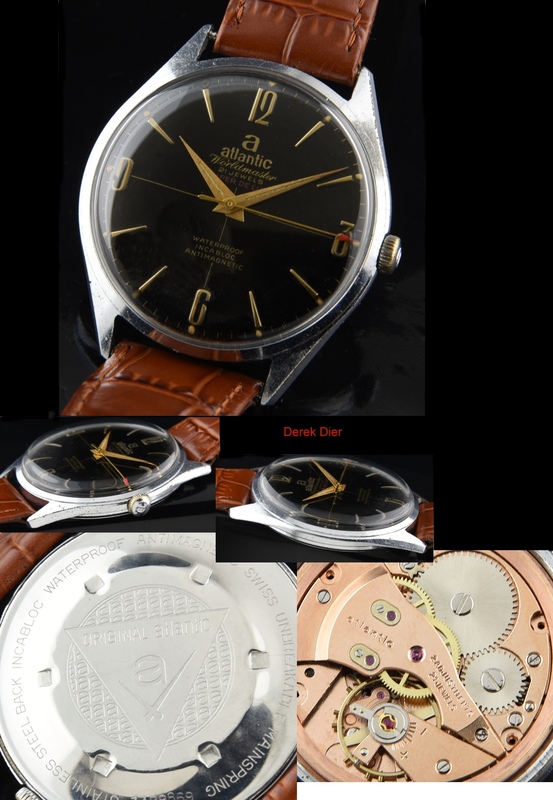 across in chrome plated and steel and has a glossy, striking and (amazing looking) ORIGINAL black dial with gold gilt print, elongated DAUPHINE handes and 12, 3, 6, 9 configuration. The wording “Super Deluxe” is written in red. The case on this watch is very thin at only 10mm. including the crystal. The crown is original. The screw back is stainless steel. The manual winding 21 jewel gilt SWISS movement was just cleaned and is accurate. Any age marks on the case in the photos are MUCH less visible in person. This is a very sleek looking watch on the wrist.